Epiq Systems is a leading global provider of technology-enabled solutions for electronic discovery, bankruptcy and class action administration. They wanted a best in class mobile and tablet app for Chapter 11 practitioners that provides better usability and more functionality than their competitors. 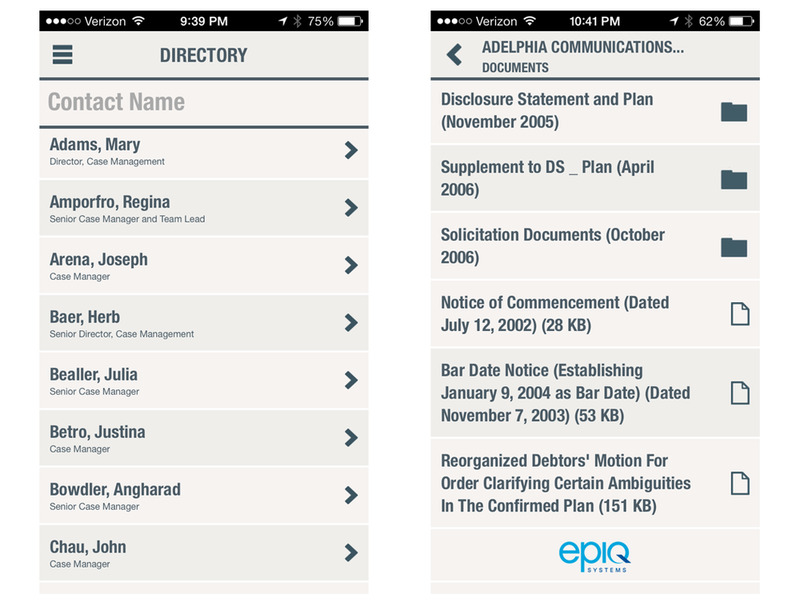 Creatively, our challenge was to make legal documents, claims and dockets visually appealing.